The company currently has a capacity of 20 houses per week and is now in talks to work in the housing market in the Republic. It recently finished work on 466 lodges at the Center Parcs in Longford. 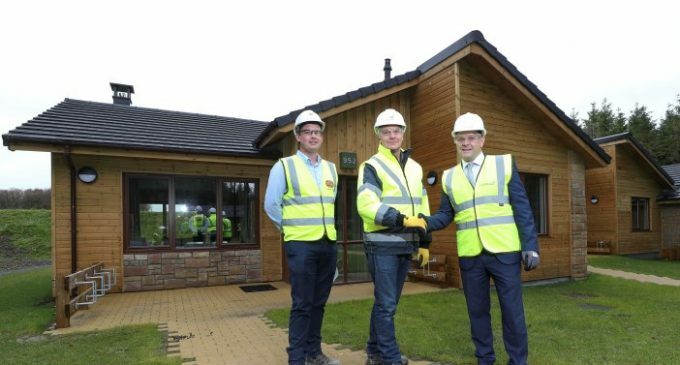 Pictured at the completion of the 466 lodges at Center Parcs are (left to right): Sisk Senior Contracts Manager Cormac Fitzpatrick; Center Parcs Construction and Development Director Paul Kent; and FastHouse Sales and Installations Director Sean Fox.